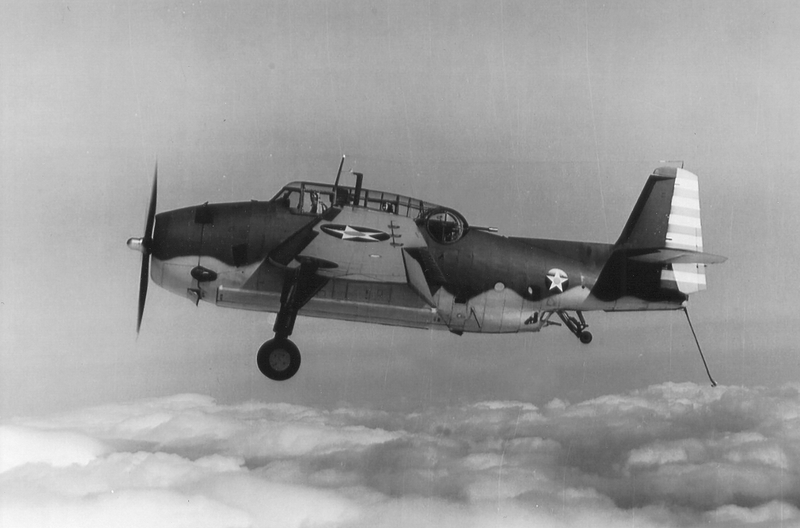 On the morning of October 25, 1941, a U. S. Navy, Grumman JF-1 Duck, (Bu. No. 9448), with two men aboard, was due to take off from the Gould Island Navy Torpedo Station for an observation flight. Gould Island is located in Narragansett Bay off the eastern side of Jamestown. The aircraft was taking off from the water, and as it was making its take-off run the lower left wing struck a marker buoy of the Magnetic Survey Range. The impact tore the wing in half and caused the upper wing to buckle. The aircraft then nosed over, skidded to the right and capsized. The pilot managed to free himself, but the passenger, Petty Officer Alexander C. MacClellan, could not, and drowned. The aircraft was assigned to VX Squadron 2D1. On the morning of December 22, 1943, a TBF-1 Avenger, (Bu. No. 05900), with three men aboard, was making practice carrier landings on a platform off the shore of Point Judith when the plane went off the platform and into the water and sank. The crew escaped without injury. The accident occurred due to faulty brakes.